These children have been complicated from the start. As tiny tyrants, they’ve spit out their food, pounded the table, or thrown tantrums unabated while their better-behaved siblings and/or parents sat by marveling at the insanity of it and not really knowing what to do. In these moments of early hostage-taking, many paralyzed parents respond in an anything-to-make-it-stop type of way, resulting in positive reinforcement of both the bad behavior and the toddler’s “difference.” Unfortunately, this emboldens the upstart and encourages future revolution. In essence, the rules don’t apply to this child – giving them a sense of being “above the law” – whether that law is civility, or just plain respect for others. 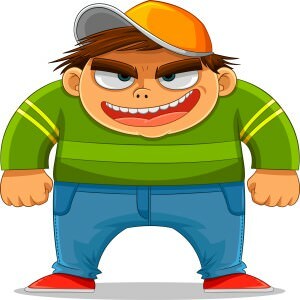 Essentially, this child becomes a bully – a person who bosses their parents (or parent) around because their parents allow themselves to be bossed. Which brings me to Donald Trump and the GOP. When he first declared his candidacy, many in his party thought he was an anomaly, a child wanting attention that would eventually go away. 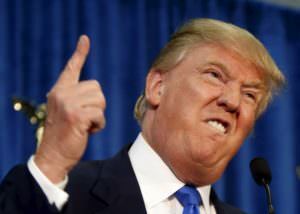 But his behavior was nurtured by the encouragement of crowds and his misbehavior grew and grew. Name-calling, disrespect, lying, interrupting – all unacceptable practices in the public arena – were ignored, or excused. So the bully got louder and stronger. When Trump called Jeb a mama’s boy, Rubio “Little Marco,” and Cruz “Lyin’ Ted” the press and public were so appalled that they sat helpless and imposed no meaningful consequences. He wasn’t reprimanded by debate moderators, he wasn’t censured by the press, he was empowered and, ironically, his popularity grew! He continues to use the name “Crooked Hillary” when Politifact has shown her to be far more truthful than Trump is. What about those tax returns, the bankruptcies, the hypocritical accusations and all of the other special accommodations that are being made for him? Is that just all O.K.? It must be because Donald’s a “difficult” child. He’s used to getting his way and people are too afraid of his bad behavior to stop him. What’s worse is that, as an anointed leader, he’s giving voice to all the other insensitive, me-first children in our country. I don’t think Trump can be saved. These are things we must teach our children when they are young. 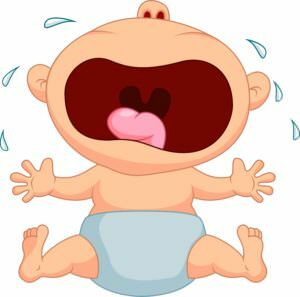 There are remedies for behaviors like this in toddlers – separating them from the group, or stopping in the moment to address the bad conduct (and express a higher expectation). Parenting isn’t easy. It requires both flexibility and strength. If we, as parents, are too flexible, our children will bend us until both we, and they, are broken. Let us hope that this November, for the sake of our country, we can collectively stand up to this ill-behaved child and let him know what type of behavior is expected in our family. This entry was posted in General, Personal Updates and tagged advice, authority, behavior, brat, brats, civility, common sense, confident parenting, discipline, family, fatherhood, fatherly advice, Hillary Clinton, parenting process, peace at home, raising children, respect, responsibility, simplification, toddlers, Trump, tyrants. Bookmark the permalink. Also because people often are stunned when they hear someone saying something totally inappropriate or out of line. We’re starting to hear more of people speaking out when someone says something racist in, for example, a supermarket. One guy said, “Just shut up and pay for your groceries and leave. Do not say another word.” The other people started showing their agreement, nonverbally. Speaking out is a skill we must all master.